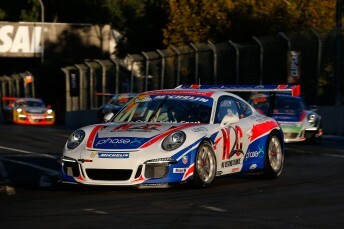 Warren Luff has won a wild opening race of the Porsche Carrera in the twilight on the streets of Adelaide. 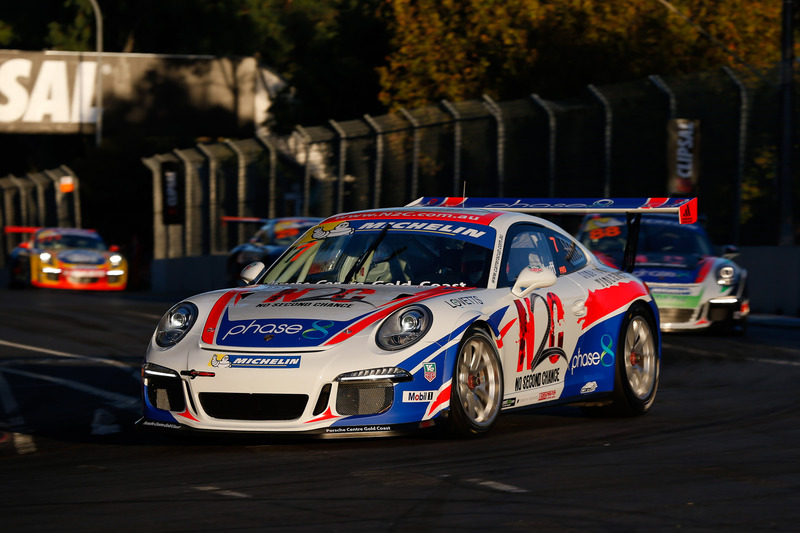 Aboard the No Second Chance/Phase 8 911, Luff was sitting in third place off the start behind pole-sitter Shae Davies (Davbridge Constructions) and Steve Richards (Laser Plumbing & Electrical) over the opening seven of 15 laps. Then the race lead was turned on its head when the leaders came to lap Dean Koutsoumidis in the Equity-One Porsche at the Senna Chicane. Davies was badly baulked and Richards and Luff swept by to the front. Richards then looked in control before he spun heading into the hairpin and dropped back to eighth. He would receiver to finish fourth. Davies was pressuring Luff for the lead when he found the fence at Turn #11 with just two laps to run, he could only manage 11th at the end. Luff was then untroubled through to the finish to take the win. The Sonic Motorsport Services duo of Nick Foster and Nick McBride came through to collect the minor placings. 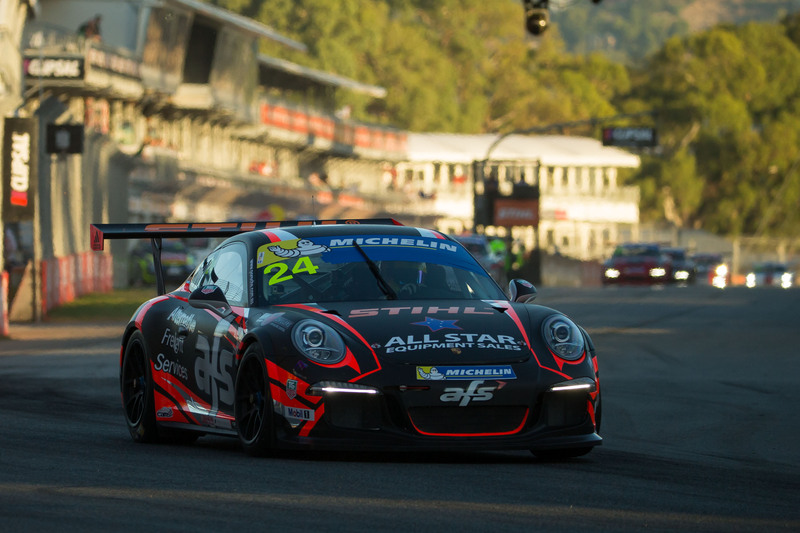 Michael Patrizi in the Onsite Racing 911 was on-course to grab a podium but transmission issues meant he was struggling to change down and battled through to seventh. He was just one place ahead of multiple champion Craig Baird who has struggled so far this weekend with coming to grips with the new Cup Car. 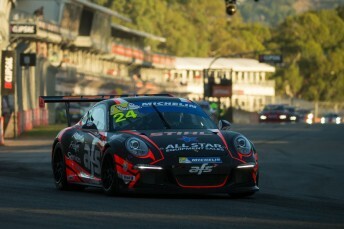 Tony Bates in the Alternative Freight Services Porsche won Elite from Shane Smolen (McGrath Estate Agents) and Roger Lago (JBS Swift) in third. The second race of the weekend will be tomorrow at 1.35pm local time.